OSHA has issued a Process Safety Management standard pertaining to Highly Hazardous Chemicals (HHCs), which is contained in 29 CFR 1910.119. The standard identifies the requirements associated with management of Highly Hazardous Chemicals and aims to prevent unwanted and/or unplanned release of HHCs in the workplace. Two of the most emphasized aspects of the standard include Process Safety Information (PSI) and a Process Hazard Analysis (PHA). PSI requires employers to compile a list of any hazardous chemicals in the workplace and document toxicity, permissible exposure limits, physical data, and other specific information pertaining to the chemical. The business must also provide Safety Data Sheets (SDS) for these chemicals. Other PSI requirements include an understanding of any reactive hazards (runaway reactions, side reactions); a flow-chart of all process technology; and information pertaining to equipment used in the process. Small businesses can find a lot of this information from existing sources to minimize the effort/expense of compliance. Existing PSI sources include chemical shipping and receiving manifests, equipment design and operating documents, manufacturer specifications, job hazard analyses and emergency planning information contained in insurance audits or Fire Marshall Inspections and related process documents. Process Hazard Analysis (PHA) is an organized and systemic effort to identify and analyze the significance of potential hazards associated with the processing and handling of hazardous chemicals. A PHA gives careful consideration as to what could go wrong with the use of onsite hazardous chemicals and what safeguards must be implemented for employers/employees to prevent the release of hazardous chemicals. OSHA anticipates that small businesses will often have processes that have fewer quantities of HHCs and may be less complicated than processes at larger facilities. 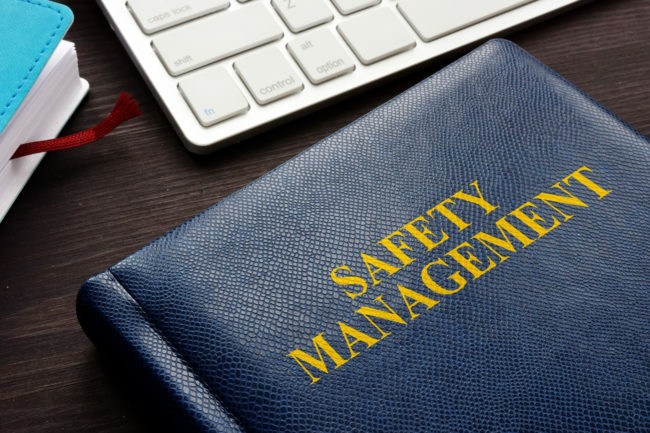 For ease of compliance, OSHA has identified two different PHA methodologies that small businesses can review for information and potential use when preparing a PHA. These can be found on the OSHA website. Some small businesses engage in processes which are not unique. For these businesses, Industry Associations may have template PHAs for reference in the development of a business specific PHA. The standard identifies the appropriate people to engage in the PHA and the training requirements of employees involved in the process. The standard also addresses a Mechanical Integrity element aimed to evaluate the maintenance of equipment involved in the business specific process. This element can be daunting to the small business; however, small businesses can look to manufacturer recommendations for applicable codes/standard and best practices to tailor this element. Finally, the PSM standard requires a compliance audit every three years.